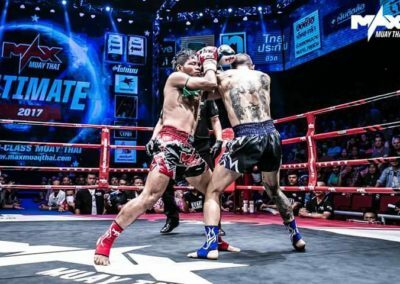 Bull Muay Thai in Krabi hasn’t been around for too long yet, but it has already made quite a name for itself, with talented, price-winning and passionate fighters from Thailand and abroad. So, where is the secret? 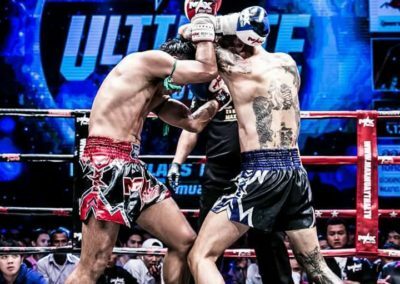 What makes Bull Muay Thai so successful? The answer is, there’s no cheatsheet, no easy way in achieving this – it’s all earned through a lot of practice, enthusiasm, passion and hard work. 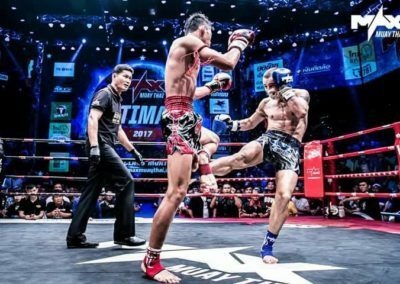 One does not become a great Muay Thai fighter overnight. Great fighters aren’t born – they’re made. And how is a warrior made? By practicing, by being coached correctly and hardened for the matches to come. 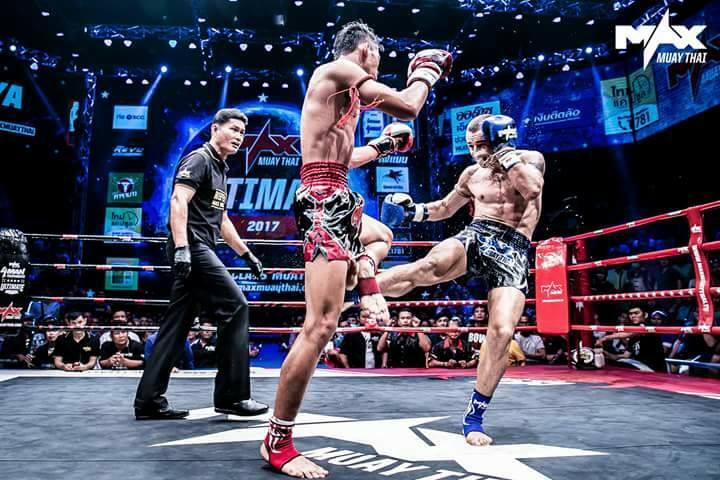 That is what you’ll find at Bull Muay Thai in Krabi. Dedicated trainers, experienced fighters, lot’s of sparring, practicing and tactics. Will it be easy? No. Will it be fun and challenging? Oh yes. 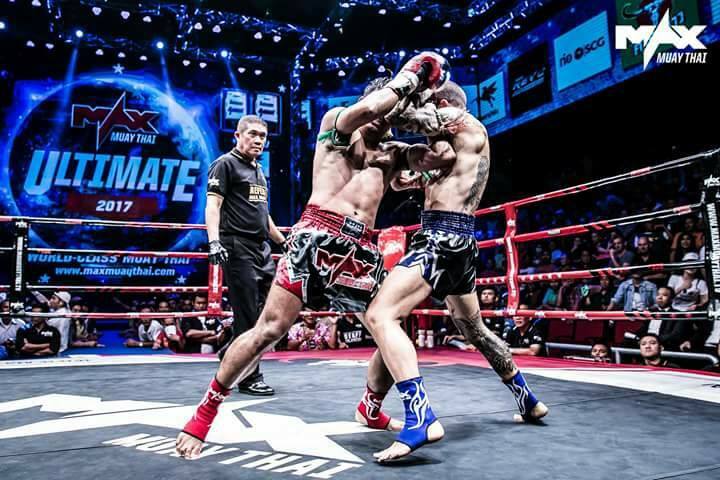 Imagine the thrill, the excitement, the adrenalin pumping in your body, the preparation up to the fight, the intense moment when the “gong” is sound and the fight begins against an opponent sharing the same dream. Who will win? The fighter with the best skills, training, passion and stamina of course. 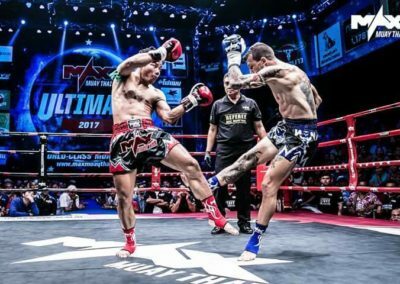 Did Francisco Sallant or Enzo Pétricig make it to top listed fighter overnight? They sure didn’t. 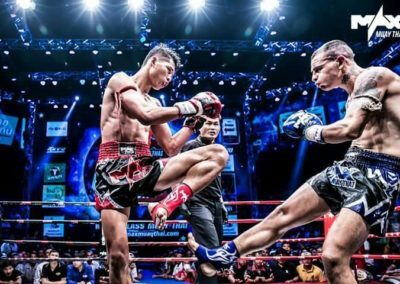 They fought for their spot, and if you want to be a Muay Thai fighter, there is only one way to get there – through hard and extensive training. 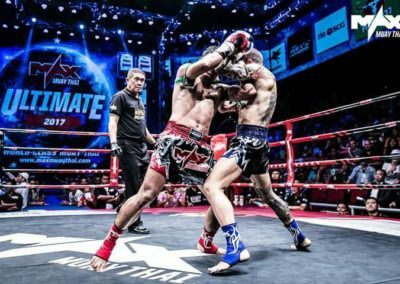 Here at Bull Muay Thai Camp in Krabi you’ll be eased into the process via extensive training, at just the level you’re finding yourself comfortable at. 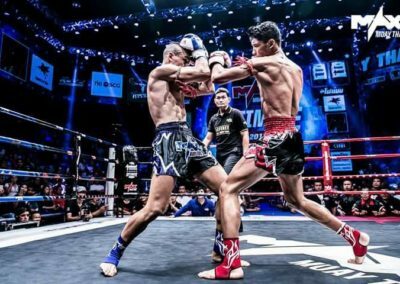 You can either partake to become a new rising star in the muay Thai world, or you could get a feel for the sport by attending to training sessions. If not for Muay Thai preparations, then maybe for your general fitness level, stamina or endurance. 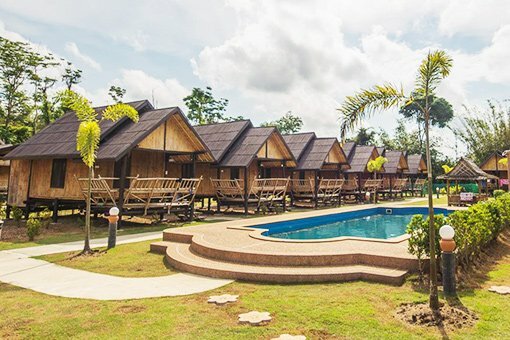 The Bull Muay Thai Camp is a perfect place to train and learn Muay Thay Boxing in a natural and relaxing environment. We are offering dedicated courses or sessions for professionals and beginners. You don’t become fit for fight in a day of course. The majority of our courses are stretched over a couple of days up until weeks, depending on your schedule and willpower, time and availability. Has this made you curious? 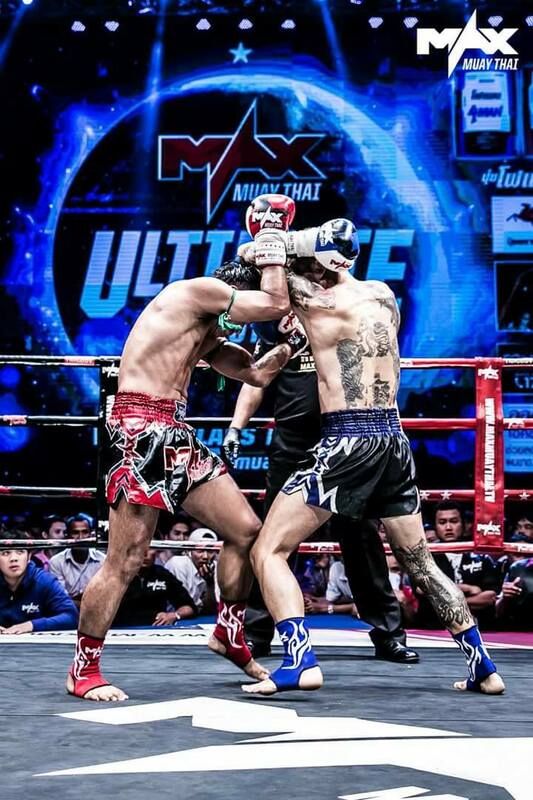 Do you have what it takes to become a Muay Thai fighter? Or maybe you’ll want to learn self-defence or generally get in better shape? 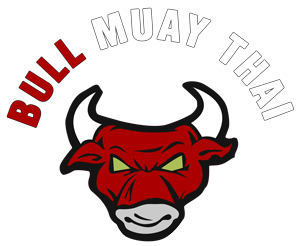 Then combine vacation with adventure and good exercise at Bull Muay Thai Camp in Phuket. 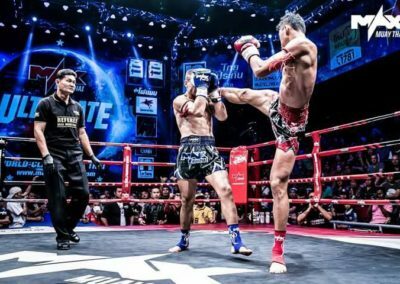 Bull Muay Thai is the place where champions are made!